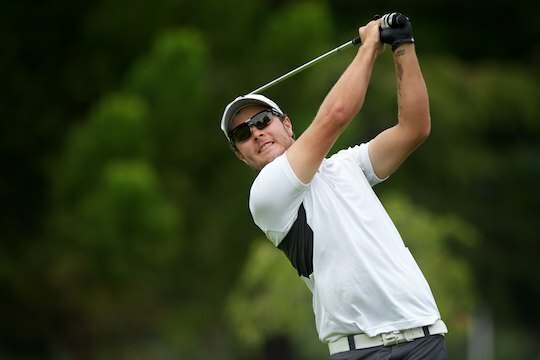 Defending champion Chris Brown returns to Glenelg Golf Club this morning to defend his Golf SA Classic title. The men’s field features 10 of the top-20 ranked Australian players, including Nathan Holman, Todd Sinnott, Ben Eccles, Troy Moses, Jordan Zunic and Australian Amateur runner-up, Geoff Drakeford. Last year Brown, ranked Australia’s 10th best amateur, fired a closing round of 5-under-par 66 to finish at 1-under-par for a one stroke breakthrough win over James McMillan, Daniel Hoeve and Matt Stieger. At the time the victory was significant for Brown, confirming that he could win a main amateur title following a number of years on the tour. “Since the win last year my all-round game has become more consistent,” says Brown. The South Australian’s results this season have included top-10 finishes at the Riversdale Cup and the Australian Master of the Amateurs, with a tied 3rd at the Tasmanian Open his best result. Local knowledge will certainly play a part for Brown, yet the task of defending his title will not be easy. “It’s going to be tough,” says Brown. The challenges for Brown should come thick and fast from Zunic, Holman and Drakeford, to name a few. Zunic this season has been impressive winning the Tasmania Open, finishing runner-up at the Mandurah Open and securing top-10 results at the Keperra Bowl, Scottish Open and St Andrews Links Trophy. Holman also has shown through the amateur ranks with some fine results on the Australasian Tour this season where he secured top-5 finishes at the Heritage Classic and Victorian Open. Winner of the 2012 Mandurah Open, Holman will certainly start this week as one of the favourites. Geoff Drakeford needs a win after close encounters at the Australian Amateur, Master of the Amateurs and The Dunes Medal. A prolific cruncher of the golf ball, provided Drakeford finds the short grass around the challenging Glenelg layout he should strongly feature. Troy Moses is another to follow after making the finals of the South Australian, New South Wales and Victorian Amateurs only to come up short. A win this week would be fitting for Moses who is an emerging player to watch. First played in 1985, the Classic has an impressive list of former winners including Brett Ogle (NSW, 1995), Peter O’Malley (NSW, 1996), Stuart Appleby (Vic, 1992), Greg Chalmers (WA, 1994) and Brett Rumford (WA, 1996). More recently Rick Kulacz collected the title (2005 & 2007), in 2010 local Brad Moules was victorious with Brett Drewitt winning his first main stroke title at the event in 2011. The cut of leading 60 plus ties will be made following Friday’s second round with a seeded draw for the final rounds on Saturday and Sunday.